Located opposite the Mediterranean and offering a friendly atmosphere, the Sérignan Plage Nature family naturist site is situated alongside a huge fine sandy beach bordered by a 130 hectare conservation site. 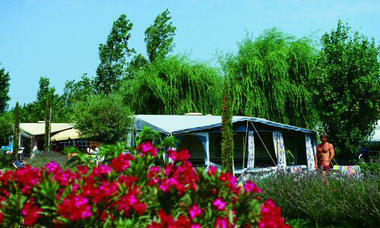 Large pitches, mobile homes and chalets are available for rent. A France 4 Naturisme camping village. Naturist balneotherapy area, (2800 m², 4 pools) for maximum well-being, reserved for guests aged 16+. The beach, on which naturism is permitted, gently slopes down to the water and never fails to delight the kids. On-site: grocery store, jazz concerts every week, library, pétanque, children's activities, many naturist activities (beach volleyball, table tennis, aqua gym, non-intensive gymnastics on the beach, half-court tennis subject to payment). Nearby: bicycle hire, horse riding. 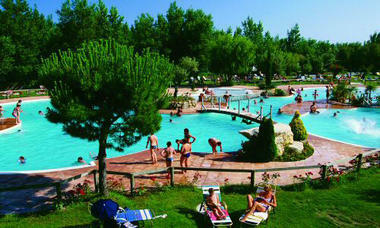 There is no review about Camping Le Sérignan Plage Nature (Naturiste), be the first to leave one !